It’s been a dry summer, now that Autumn has rolled around it will be a relief to get some cooler weather and hopefully some rain. Autumn is one of the most beautiful times in the Macedon Ranges and a great time to get out in your own garden. Feel free to let us know what you’re up to in your garden in the comments section below! Our next Sunday working bee on March 24th will be held at the Quarry Rd rail reserve to further enhance the wildflowers that appear along here each Spring. We will be working once again on the section which has the best biodiversity and need to remove the remaining broom and other woody weeds which are a threat to this site. Wear sturdy footwear and full length protective clothing and bring gloves, eye protection, secateurs, loppers and maybe a kneeling pad. The Landcare trailer will be on site and morning tea is provided. A good turnout will get us close to finishing the tidy up of this important site, if you needed an incentive there will be hot cross buns for morning tea! Park in Washington Lane and carefully cross Quarry Rd to access the works area. (We need to limit parking on the reserve to works vehicles only). A briefing will be held at 9am. Raising chickens! Ever longed for the joy of fresh eggs and great fertiliser?! Join Piper’s Creek Landcare for a workshop on small-scale, backyard chicken-raising. Kyneton District Poultry Club will provide specialist assistance. A range of actual chickens will be there too!! Our first Sunday working bee for the year will be on the 24th of February from 9am till 12pm at Ruby Mckenzie Park in Tennyson St. We’ve had three very successful working bees in a row around the same time last year in this area so we need to do some follow up weeding and tidying to keep this section of the creek in good order. The first task is some blackberries need treating at the Romsey Road end of the track and in the weir. Our second task is to check the creek for small re-emerging willows from Romsey Road downstream to Ruby Mckenzie Park and beyond to the new concrete bridge if possible. Some Hawthorns also need treating near the park. There is plenty of work so a good turnout would be greatly appreciated! We’ll have a delicious morning tea for all the hard workers who come along too! Remember to wear suitable full cover protective clothing, gloves, sunglasses, hat and sturdy footwear. (gumboots will be useful for some of the weeds) Bring secateurs, loppers, pruning saws if you have them. The tool trailer will be at the assembly area in the park. We’ll have a briefing at 9am. Check out our latest calendar on the new Coles noticeboard or our website for upcoming events and working bees. Newham and District Landcare Group have been featured in the current Victorian Landcare Magazine. Check out the article online. Our first working bee for 2019 will be a twilight bee on Friday 1st of February from 5pm until 7.30 pm followed by a sausage sizzle. The work location is on the creek near the information centre and the pool. We will continue on downstream from where we left off the work at the very successful December Christmas breakup working bee. Woody weeds like willows, blackberries, poplars are the target. Wear sturdy clothing and work boots and bring gloves, eye protection, secateurs, pruning saws etc. The tool trailer will be onsite. Parking is in the swimming pool/tennis court carpark or at the information centre carpark. Please note the working bee will be cancelled if a total fire ban is declared. Newcomers welcome. Keep a look out for our upcoming calder of Sunday working bees for 2019. Hope to see you there! Come and celebrate another successful year of Landcare volunteer work. Our last Sunday Working Bee for the year is on the 25th of November from 9am till 11.15am followed by an extended, Christmas themed, morning tea. We will be working along the Five Mile Creek behind the Information Centre and Swimming Pool. There is a lot of woody weed control to undertake in this area. Park in the pool/tennis court parking area. Our blue tool trailer will be onsite but please bring secateurs, loppers, gloves, long protective clothing, sun, eye and ear protection. Morning tea is provided but BYO drinks. Please help with catering and RSVP to woodendlandcare@gmail.com. We had great attendance at our October bee. All the 2017 Spring plantings were brush cut around and lots of woody weeds controlled in the vicinity of Ruby Mckenzie Park. Thanks to all who came and lent a hand. New helpers are always welcome and hugely appreciated at our bees! A huge thanks to all our volunteers in 2018 – the Thursday Crew, Catering Crew, Sunday Bee Attendees, and the Committee. A reminder that this Wednesday (14 November) Owen Gooding from the CFA will discuss how to manage your property to reduce the risk of fire and to retain vegetation. The talk will commence at 7.30pm at the Woodend Neighbourhood House (47 Forest St, Woodend) and followed by a light supper. To assist with catering, please RSVP by emailing woodendlandcare@gmail.com. Now is a excellent time to visit the Woodend Grassland Reserve to see the wildflowers in full bloom post the Autumn ecological burns. Stuart Boardman who led the burns has sent through some fascinating photos. The section that was burnt in May is looking amazing and full of wildflowers (right). Its a great comparison to the non burnt adjacent grassland which had a almost identical grassland structure pre burn (left). Land For Wildlife – Spring 2018 Newsletter – Includes a useful article on nestboxes for wildlife. The Victorian Environment Assessment Council (VEAC) has recently released their Central West Investigation Draft Proposal Report. The draft recommendations for the Wombat Forest and other areas are to be commended. Draft recommendations in our area include a new Wombat-Lerderderg National Park, a new Wombat Regional Park (including Trentham to Blackwood and the east section of the Wombat around Woodend), a new Cobaw Conservation Park, and a new Black Forest Nature Reserve along the Calder Freeway. The good news is that this means the Wombat Forest would be permanently protected from potential logging and mining and other impacts. If the Wombat Forest is not protected by a combination of parks, logging will resume. 1- Attend the VEAC drop in session today (Monday 10th September) to ask questions or let them know how you feel about it. It is on from 3-7pm at the Woodend Community Centre (cnr High and Forest St). Another session will be held in Daylesford on Thursday 13 September: 3pm-7pm, Daylesford Football Ground, Victoria Park, Ballan Rd Daylesford. 3 – Email Mary-Anne Thomas to show your support for the VEAC draft recommendations. This will potentially be a very significant issue for our area (and an election issue) so your input would most definitely be of value. See http://www.veac.vic.gov.au/investigation/central-west-investigation for more information. Woodend Landcare News, Events and More! After many years of using contractors and our own Landcare volunteers, the Crack Willow infestation of the Five Mile Creek from Romsey Rd to High St is almost eliminated. As with any weed there are always some missed or new ones still emerging, so at our next working bee we will be starting at Romsey Rd and heading downstream to cut and paint all remaining willows. They are generally around a metre high so, at this stage, are quite easy to deal with. A good turnout would help us to get a really long section of the creek cleared of this invasive weed of national significance. Peter Yates hard at it! Agroforestry and encouraging plantations on private land. The evening starts with drinks and nibbles at 7pm, talk by Karl Kny at 7.30, followed by Newham Landcare’s usual splendid supper. Please RSVP to Penny Roberts on penroberts@bigpond.com for catering purposes. The Biolinks Alliance is excited to be hosting Dr Gary Tabor for an evening in central Victoria when he visits Australia next month. Click here for flyer. Gary, renowned conservation biologist and wildlife veterinarian, is a world leading expert on connectivity conservation. He co-founded the trailblazing Yellowstone to Yukon conservation initiative, established the Kibale National Park in Uganda and established the World Banks Mountain Gorilla Conservation Trust. He is currently the Executive Director of the Centre for Large Landscape Conservation, in the United States. He has much to offer us as we pursue our ambitious vision to re-connect habitat across central Victoria. Gary will speak about the priorities and opportunities for 21st Century conservation practice. Come and be inspired and hear how we all need to be, and can be, part of the solution in central Victoria. Tickets: Free to Biolinks Alliance members, $10 for non-members. Macedon Ranges Shire Council is currently inviting input on two important projects—a Landscape Assessment Study and the Biodiversity Strategy—that will protect and enhance the shire’s unique natural environment. Community members can inform the projects by pinpointing important natural features on an interactive map which is available at: http://www.mrsc.vic.gov.au/About-Council/News/Have-Your-Say/Macedon-Ranges-Biodiversity-Strategy. We want your feedback about sites of biodiversity value, special landscape features and significant views that require additional protection. We also want to know where opportunity exists to connect or buffer existing vegetation and habitat. For more information, contact Liz Jardine on 5421 9684 about the Landscape Assessment Study, or Krista Patterson-Majoor on 5421 9503 about the Biodiversity Strategy. 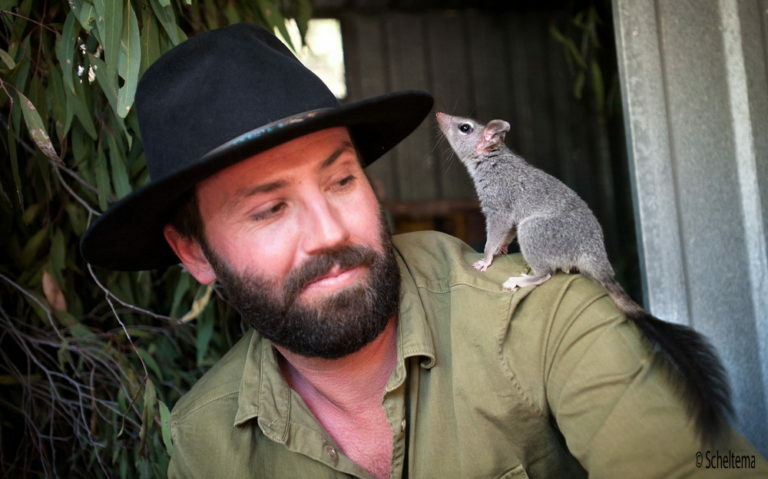 As part of the Upper Campaspe Landcare Network’s recent successful biodiversity funding, they have employed a project officer – Brad Blake – to begin work on our surveys for greater gliders, phascogales and powerful owls. They have started setting up remote cameras for phascogales on the properties of people within our network that have been seeing them. If you have been seeing them around your place and would like cameras installed, please let Sandy know so we can arrange for Brad to visit and install cameras. Contact Sandy on uclandcare@gmail.com. INTERESTED IN FARM WATER SUPPLY? Martin Hamilton from Ag Vic is looking to run some sessions on Farm Water Supply. The session details how to calculate how much water you have and how long supplies are likely to last as well determining pipe sizes, friction loss as well as demand. If you are interested in knowing more about this, please let Sandy know at uclandcare@gmail.com. The Australian Tax Office (ATO) has produced a fact sheet on the tax incentives for primary producers for establishing shelterbelts entitled “Establishing shelterbelts on land used in primary production business: Can I claim a tax deduction? What you need to know” (Dec. 2016). The fact sheet was developed in a partnership between the ATO and the Basalt to Bay Landcare Network, and provides primary producers with useful information on the taxation, productivity and biodiversity benefits that can result from the establishment of shelterbelts. Click here for the PDF of the fact sheet. Issue 71 of the Victorian Landcare and Catchment Management magazine, which is a feature on managing water is now available online. Among the stories in issue #71 include stories from agroforestry expert Rowan Reid who shares his experiences of planting, growing and harvesting a multipurpose riparian farm forest in the Otway Ranges. There is a story about how the people of Birchip are reaping the benefits of increased biodiversity at Tchum Lakes after the Mallee CMA received environmental water for selected wetlands from the Victorian Environmental Water Holder. Other stories include how biochar can improve the water-holding function of soil, and a story on identifying frogs. Help us prepare for our spring planting at our next working bee on Sunday the 27th of August 2017. Held on the creekside flats near Ruby McKenzie Park, our aim is to whippersnip individual planting sites for our tree planting on the 24th of September 2017. There are also numerous Hawthorn seedlings needing cutting and poisoning and some debris needs to be piled in heaps – so there is plenty of work for everyone! Please park in Tennyson St near the playground if wet or beside the walking track downstream of the park if dry (drive very slowly if using the track). The tool trailer will be onsite, morning tea is provided and bring old clothes, gloves, boots etc as this area is quite rough. RSVP and any inquiries to woodendlandcare@gmail.com. Also, a reminder that our AGM and talk by local botanist Greg Boldiston will be on the evening of Tuesday the 29th August 2017 – CLICK HERE for more details. We hope to see you there! If you’d like to learn more about about our local fungi, Wombat Forestcare have a very useful page highlighting 102 of the thousands of species that can be found locally; CLICK HERE to view. Campanella olivaceonigra, observed near Anderson’s reservoir – a stunning sample of Greg’s flora photos from the Macedon Ranges. Come along to our AGM to see more!